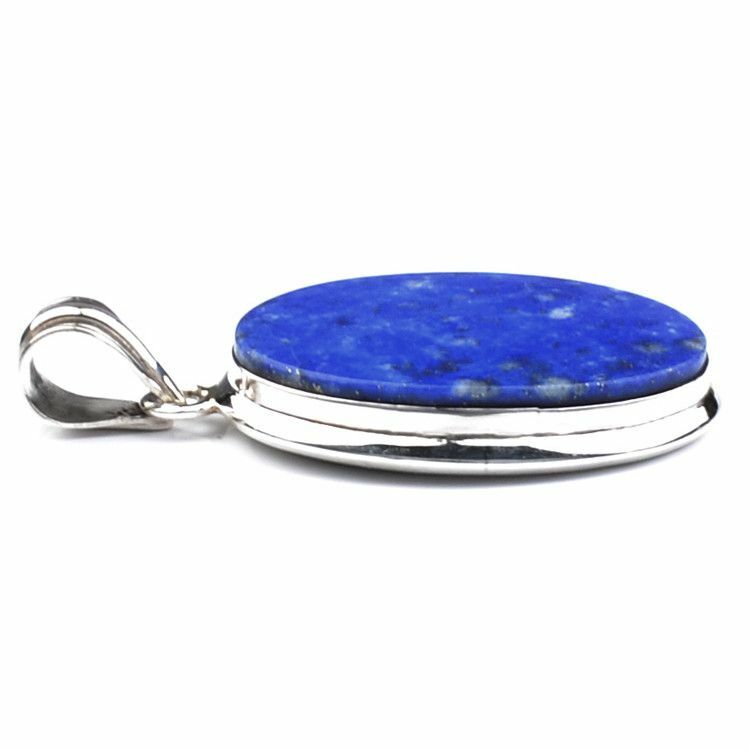 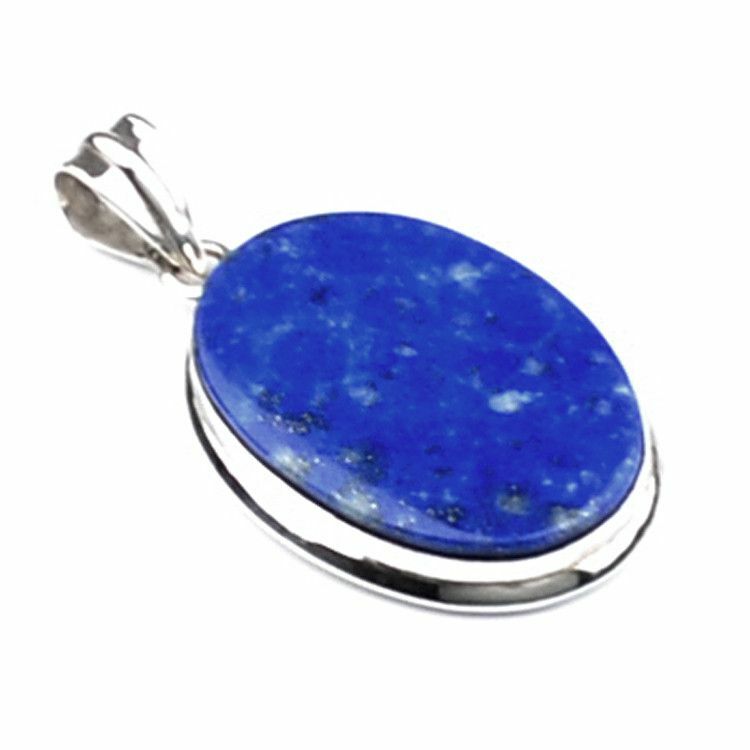 This blue Lapis Lazuli pendant offers the most intriguing fashion look. 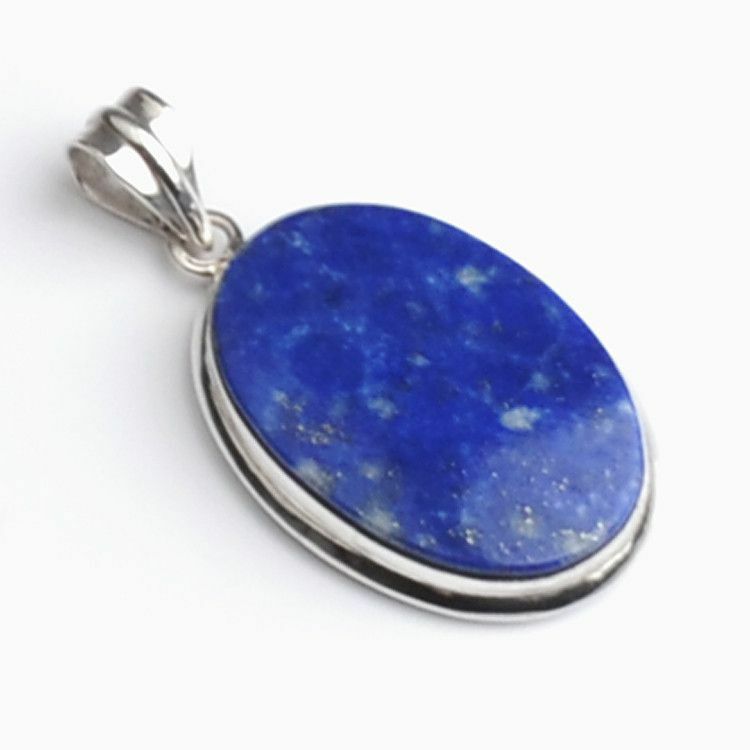 It is set in a framework of sterling silver. 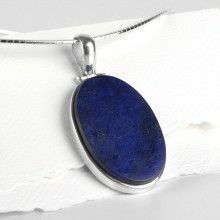 Its large cabochon is a prime example of fine world gemstones. 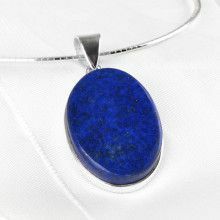 No two pieces of gemstones are the same. 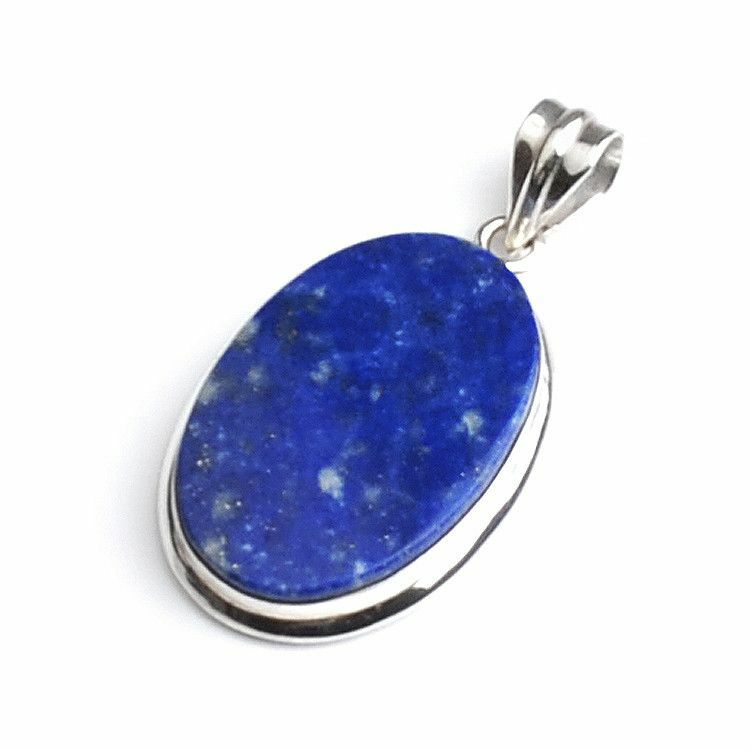 Product might be slightly different from the picture.